Beijing, March 28, 2019 – The United States and China said they made progress in trade talks that concluded on Friday in Beijing that Washington called “candid and constructive” as the world’s two largest economies try to resolve a bitter, nearly nine-month trade war. U.S. Treasury Secretary Steven Mnuchin and U.S. Trade Representative Robert Lighthizer were in the Chinese capital for the first face-to-face meetings between the two sides since President Donald Trump delayed a scheduled March 2 hike in tariffs on $200 billion worth of Chinese goods, citing progress in negotiations. Earlier, Mnuchin told reporters that U.S. officials had a “very productive working dinner” on Thursday. He did not elaborate and it was not immediately clear with whom he had dined. Details of where the two sides made progress were not immediately clear. Going into the talks, people familiar with the negotiations had said there were still significant differences on an enforcement mechanism and the sequence of when and how U.S. tariffs on Chinese products would be lifted. Observers had anticipated the scope of this round of talks, which wrapped up about 24 hours after the U.S. delegation arrived, to be quite narrow, but that both countries hoped to signal they were working hard toward a resolution. A U.S. administration official told Reuters earlier this week that Lighthizer and Mnuchin were “literally sitting there going through the texts”, a task typically delegated to lower-level deputies. Many have expressed scepticism that any deal can permanently resolve U.S.-China trade tensions. “Whatever implementation mechanism China agrees to, whether it is monthly or quarterly meetings or other check-ins, there are going to be problems,” James Green, a senior advisor at McLarty Associates who until August was the top USTR official at the embassy in Beijing, told Reuters. Trump’s demands include an end to Beijing’s practices that Washington says result in the systematic theft of U.S. intellectual property and the forced transfer of American technology to Chinese companies. 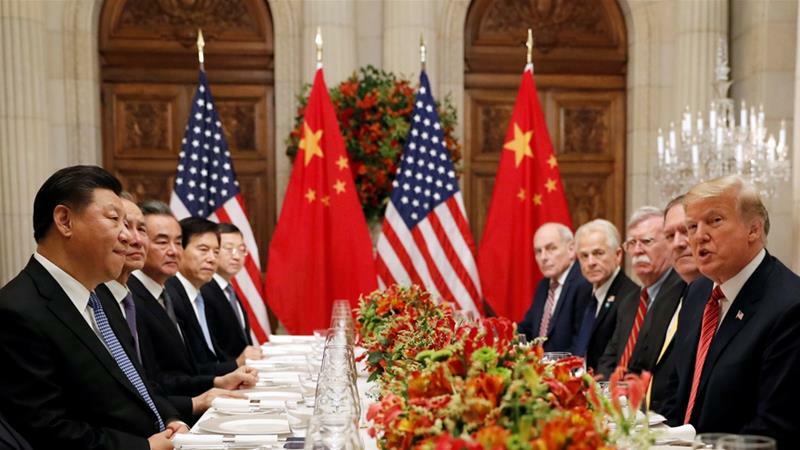 The issue has proved tough for negotiators as U.S. officials say China has previously refused to acknowledge the problem exists to the extent alleged by the United States, making it hard to discuss resolution.